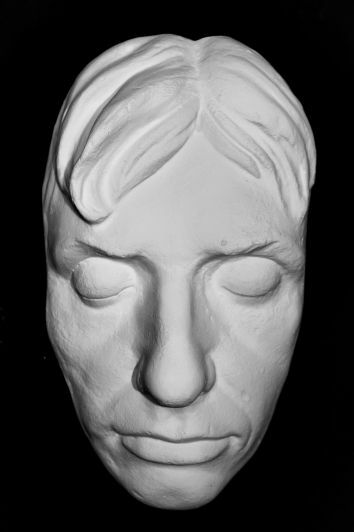 Lord Horatio Nelson Life Mask - This face was taken directly from the original life mask of Nelson hanging in the British National Maritime Museum. This life mask comes ready for wall hanging with a sturdy wire hook in the back. From the National Maritime Museum: "We know exactly how Nelson looked (without the flattery of painters) thanks to this remarkable mask taken of his face five years before his death. This mask, one of three similar examples known, entered the Museum in 1939 as part of the Nelson-Ward Collection. 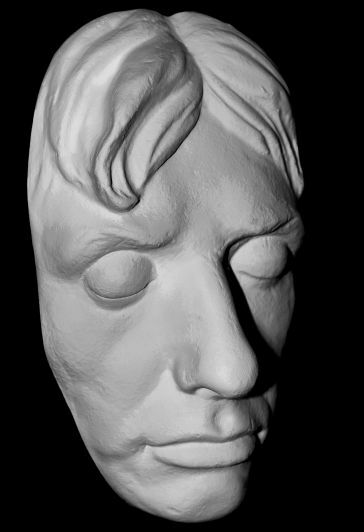 It was for many years, both before then and later, believed to be a death mask but there is no contemporary reference to a mask being taken after Nelson's death. It is recorded, however, that when he was in Vienna in September 1800, he permitted a cast of his face to be taken by the sculptor Franz Thaller. It is therefore likely that all three masks are related to the marble bust completed in Vienna by Thaller and Matthias Ranson, in 1801. Ranson is otherwise unknown and the late Richard Walker suggested that he may have been a studio assistant of Thaller who was perhaps responsible for the specialized and certainly uncomfortable business of taking the such face-moulds."